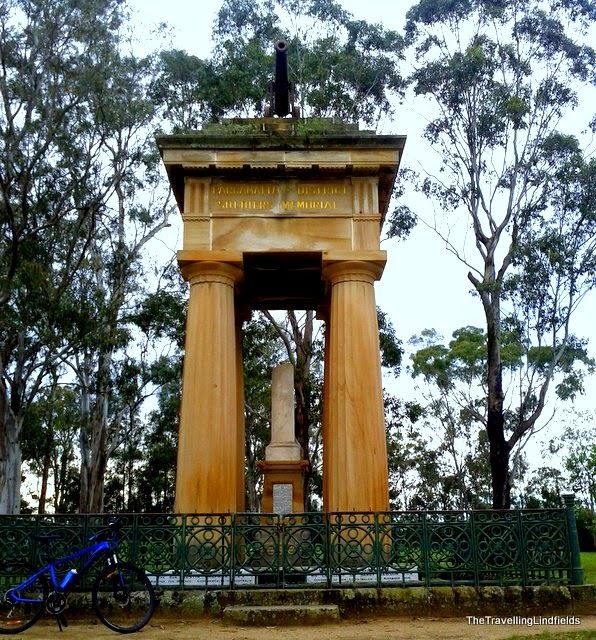 The Travelling Lindfields: War Memorials - to commemorate ANZAC Day. War Memorials - to commemorate ANZAC Day. One of the saddest things about travelling, is that in every town, no matter how small, there seems to be a memorial to those who served and and died in wars. David and I often stand and read the names of long-dead young men, in quiet contemplation of the waste of their lives. Too many of them died too soon to have children. Their memories are left to live on only in the hearts of more distant relatives and strangers. Today is ANZAC Day: the 100th Aniversary of the landing at Gallipoli in WWI by Australian and New Zealand forces. In memory of the terrible waste of young lives on both sides of the conflict, I have collected together photographs of war memorials around the world. Some of the photos are mine. Some have been sent to me by other bloggers. They are in no particular order. I took this photo recently in Balranald, a small town in New South Wales. There are 42 names on this side of the statute, all of whom died in WW I. I don't think I have ever been to a country town in Australia which does not have a similar memorial or where the loss was not equally catastrophic. This photo of La Cambe, France was taken by Betsy Wuebker of PassingThru.com. Betsy wrote this about the photo. "In many respects, I felt more emotion at La Cambe, the German WWII war dead cemetery in Normandy, France, than I did at the other D-Day sites. In contrast with the light-filled and hopeful American cemetery nearby, La Cambe’s energy is dark and melancholy. It is a stark, visual reminder of incomprehensible loss. The German dead are buried in groups, as many as six sharing one small marker. The central tumulus holds the single grave of some 300, known and unknown. I caught a glimpse of it through a narrow window in the bordering wall at the moment a beam of sunlight streamed forth. This is a photo that can still bring me to tears." 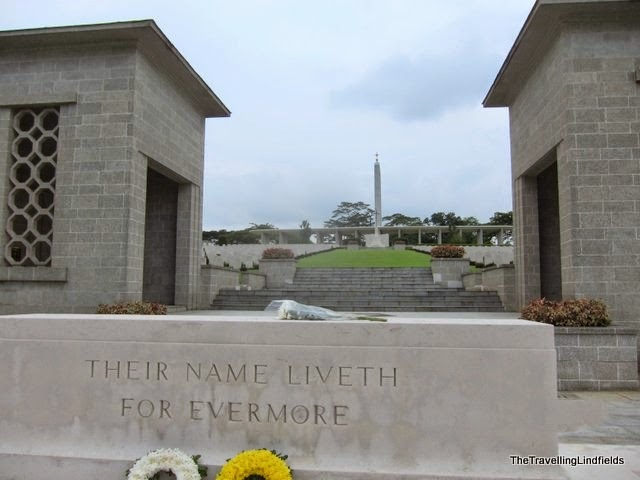 WW II graves at Kranji Cemetery in Singapore. Memorial to the Australian Light Horse, at Harden in New South Wales. 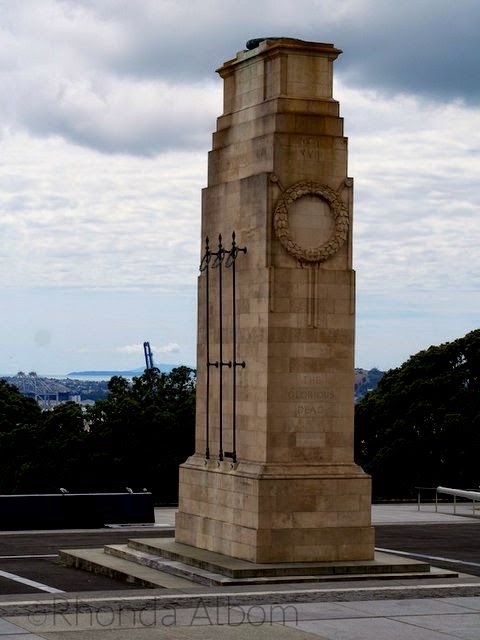 The Memorial in front of the Auckland War Memorial Museum, New Zealand. It was taken by Rhonda Albom of AlbomAdventures.com. Rhonda attended an ANZAC Day in New Zealand and has written a post describing the ceremony - click here to read it. The Great Ocean Road, in Victoria, Australia, is the world's largest war memorial, built in memory of Victorians who died in WW I. The Memorial in Parramatta Park, Sydney. David and I often cycle past here. Paula of ContentedTraveller.com sent me this photograph of Cheoung Ek, Cambodia. 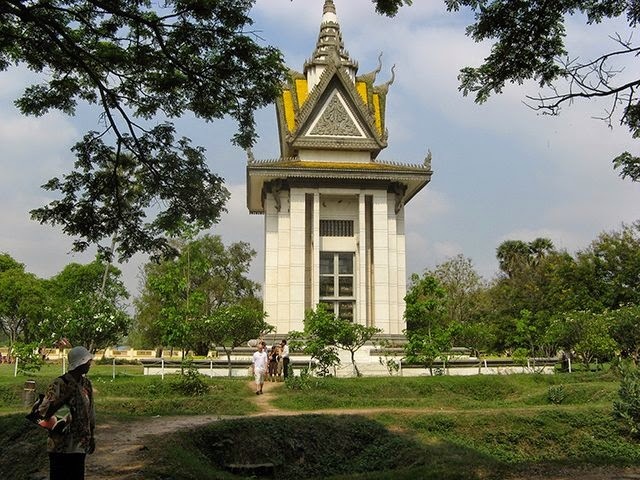 It is on the site of a mass grave of victims of the Khmer Rouge. It is perhaps in a slightly different category to the other photographs since the victims were not soldiers but I have included it because the tragedy is the same. I intend to add to this gallery from time to time. If you have a photograph you would like me to include, or a link to a relevant blog post please send it to me. Beautiful tribute and interesting memorials around the world. So sad when you stop and think about the need for so many war memorials. I hope your ANZAC parade was meaningful. Hi Rhonda. It is very sad. It would be nice if there was no need in the future for any more but I suppose that would be wishful thinking. Hi Lyn, thanks for sharing these memorials to commemorate the 100th ANZAC Day. It is such a sad thing to contemplate. Hi Kelly. Yes - very sad and all the more because so many were so young. 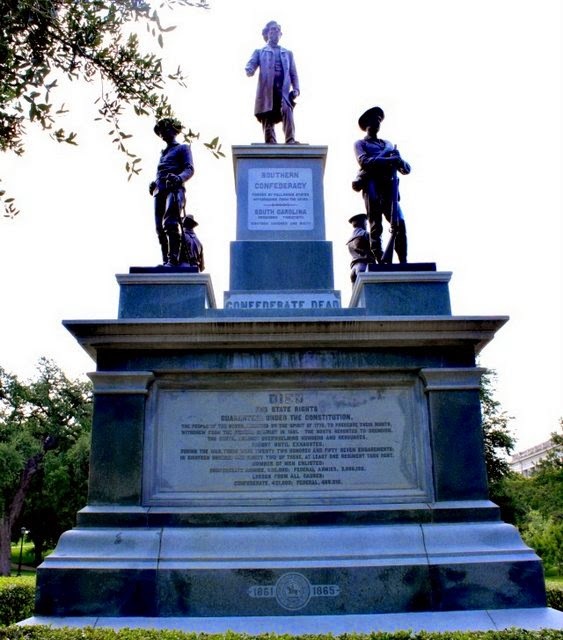 There is something sobering and yet at the same time comforting about memorials - and these are wonderful photos. Hi Sue. Happy to share. It is a wonderful contribution from you to pay respect to these all heroes from around the world. God Bless Them. Thank you for sharing and commemorating the 100th anniversary of ANZAC Day. Hi Patrick. Such a sad occasion. Wow. moving collection of photos.